On the eve of the 150th anniversary of the Emancipation Proclamation, the outgoing governor of North Carolina, Beverly Perdue, issued an historic “Pardon of Innocence” to each member of the Wilmington Ten after a 40-year struggle for justice. This was a long sought-after victory for the Civil Rights Movement, the United Church of Christ, National Council of Churches, the Southern Christian Leadership Con­fer­ence, the National Alliance Against Racist and Political Repression, the National Wilmington Ten Defense Com­mittee, the Congressional Black Caucus, and millions of people throughout the world who for many years demanded “Free the Wilmington Ten.” Famed civil rights Attorney James Ferguson and North Carolina Central University Law Professor Irv Joyner led the successful legal effort for the pardons. In particular the Wilmington Ten declaration by Gov. Perdue was a winning tribute to the effectiveness and commitment of the National Newspaper Publishers Association (NNPA) that spearheaded the national campaign, led by Mary Alice Jervay Thatch and Cash Michaels, to encourage Gov. Perdue to issue the Pardon of Innocence. Yet, this was also a another important milestone of success for the National Association for the Advancement of Colored People (NAACP) and especially the North Carolina Conference of NAACP branches led by Rev. William Barber II who helped immeasurably to build enough public momentum during the last year to achieve such an unprecedented positive outcome. Victories for Black Americans, and for all others who stand freedom, justice and equality, do not come easy and do not occur without a prolonged, sustained struggle or “movement of people” that creates a “moment in history.” On behalf of the four deceased members of the Wilmington Ten – William “Joe” Wright Jr, Jerry Jacobs, Ann Shepard, and Connie Tindall – and on behalf of six living members of the Wilmington Ten – Wayne Moore, Willie Earl Vereen, Reginald Epps, James McKoy, and Marvin Patrick – I express our heartfelt gratitude and appreciation to all who helped to make this moment possible. Forty years is an awful long time for justice to be done, but we are thankful that this day has finally come. With 10 courageous strokes of her ink pen, Gov. Perdue acted to rectify what she described as a case of “naked racism.” We note that Gov. Perdue was under a lot of pressure from many different vantage points, but in the end she made the right decision based on her review of all the facts that had been presented to her. Limited space in this column will not permit the re-telling of the entire Wilmington story. Suffice it to say that this case was and continues to be about equal quality education for Black American students and for all students in public school systems in across America. In 1971 in Wilmington, N.C. the city was racially polarized as a result of recent school desegregation and in 1972 the Wilmington Ten were unjustly framed, arrested, tried and sentenced collectively to 282 years in prison on false conspiracy, arson and assault charges. Although we were all completely innocent of those false charges, it took 40 years to prove our innocence. It is important for the record to clarify that the victory of the Wilmington Ten would not have ever been possible if it were not for the 40-year support of the United Church of Christ (UCC). In the 1970s and 1980s, Rev. Charles Earl Cobb Sr., executive director of the Commission for Racial Justice of the United Church of Christ and Rev. 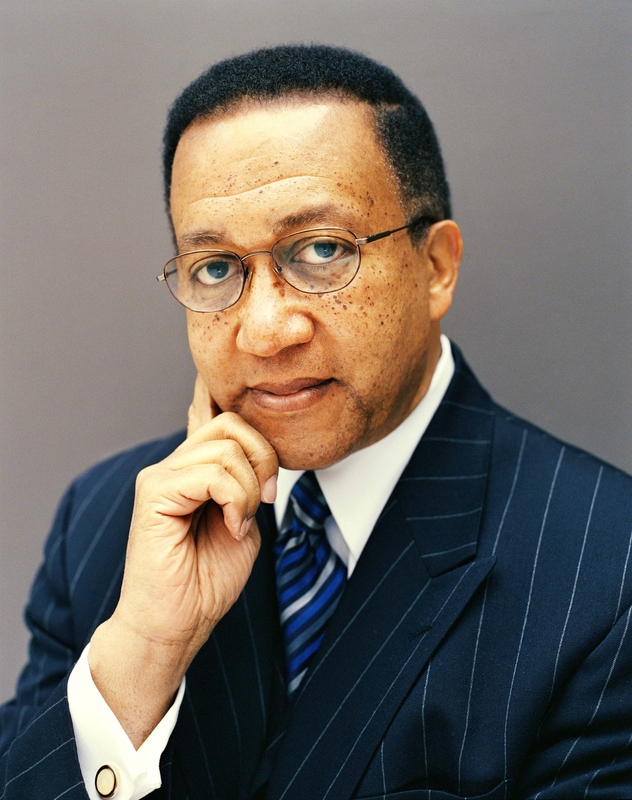 Edwin R. Edmonds, chairman of the Commission for Racial Justice, along with Rev. Leon White, Rev. Bill Land, Irv Joyner, Rev. . Jeremiah A. Wright Jr,, T. Willard Fair, Rev. Robert V. Moss, Rev. Joseph H. Evans, Rev. Avery D. Post, Rev. Eugene Templeton and thousands of other pastors and members of the UCC provided the strong church leadership and support that gave the young people of Wilmington strategic solidarity and resolve to stand up to the insidious forms of racial injustice so prevalent at that time. Angela Y. Davis, Charlene Mitchell, Ann Mitchell, Michael Myerson, Maria Ramos and the National Alliance Against Racist and Political Repression (NAARPR) did an outstanding job in building effective national and crucial international support of the Wilmington Ten and for the release of all political prisoners in the USA. Imani Kazana and the National Wilmington Ten Defense Committee remained steadfast in their support during critical stages of the case. I am recognizing and highlighting these persons and organizations to emphasize that building a successful movement for change involves keeping the faith, perseverance, diversity and coalition-building, and risk-taking actions guided by progressive principles of struggle and human integrity. Yes, 150 years after President Lincoln issued the Emancipation Proclamation as “an act of justice,” racism is still alive in the United States of America. Yet, there has been much progress accomplished toward racial justice for all people doing the last two centuries. President Barack Obama in his 2013 inaugural address stated, “That is our generation’s task – to make these words, these rights, these values of life and liberty and the pursuit of happiness real for every American.” The emancipation of the Wilmington Ten is a another step forward for the liberty and freedom for all.